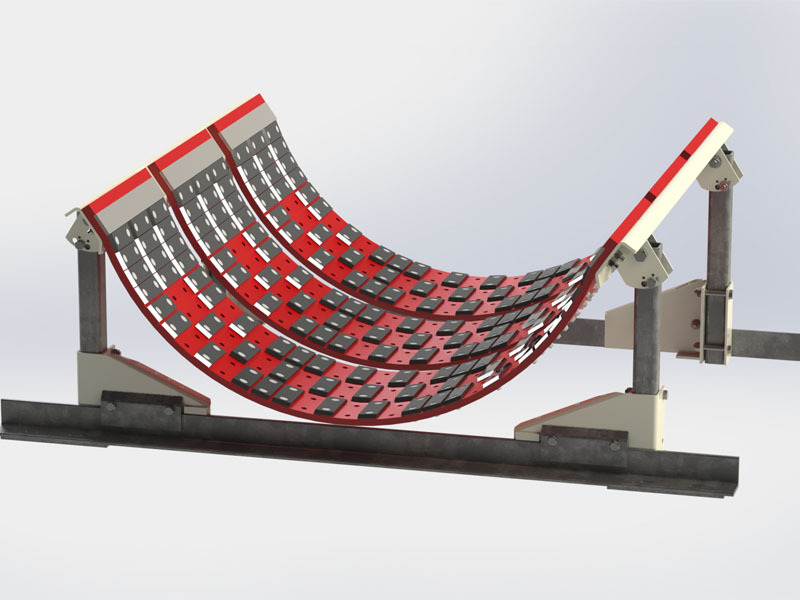 K-Flexal® Elastic Conveyor Belt Support System consists of cross belt polyurethane elastic straps, with its flexibility and elongation design feature allowing better absorption of energy and even weight dispersion of the conveyed bulk material. K-Flexal® polyurethane straps are supported by a metal framework adjustable in all 3 dimensions designed to fit the system to every trough angle ranging from 20 to 70°. 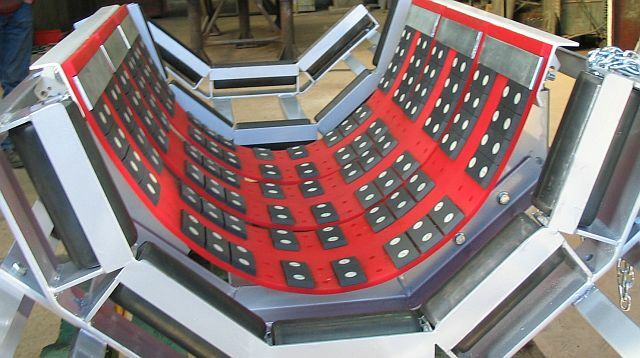 Its unique patented design ensures the conveyor belt is in close contact to a maximum number of pads providing automatic and optimal distribution of impact, strains and friction with the aid of its elasticity feature. 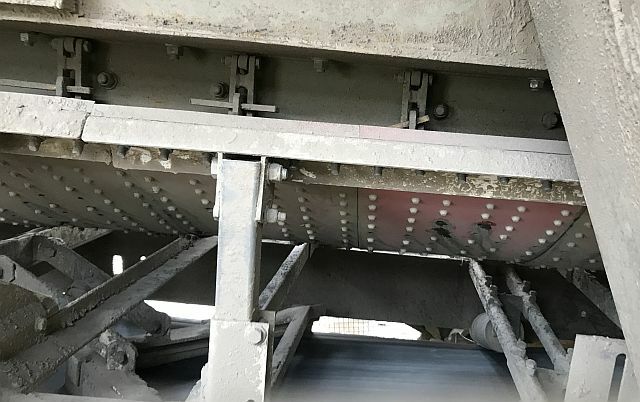 The low co-efficient of pressure allows minimal energy absorption, effectively reducing wear to the conveyor belt as well as the cost advantages of longer wear life of the pads. Applicable for use in all bulk materials handling operations, particularly heavy duty mining and quarrying application, as well as being ideally suited to wet and corrosive applications. The unmatched elastic performance effectively acts as a shock absorber for conveyor belts. Aiding in the absorption of impact and force of the conveyed bulk material, whilst taking into consideration the dropping height, belt speed and material’s abrasiveness.